Three and TalkTalk have sent an open letter to Ofcom in which they argue the watchdog should limit the amount of spectrum any one mobile operator can own. In an effort to urge Ofcom to limit the amount of spectrum any one mobile operator can own, Three and TalkTalk have sent an open letter to the watchdog. Three had previously hinted that it would take action to prevent mobile operators, namely BT, from gaining an unfair advantage over its competitors. 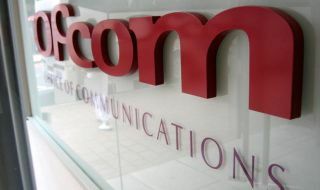 Now the firm has decided to join together with TalkTalk, CityFibre, Relish and the Federation of Communication Services to convince Ofcom to implement a cap as to how much of the spectrum individual mobile operators can gain in the upcoming auction in 2017. Next year the auctions will take place with the 190MHZ spectrum, which was previously owned by the Ministry of Defence, being made available to mobile operators. In the 2013 auctions, over £2 billion was earned by carriers trying to gain more spectrum for their networks.